Halloween is just a little over 2 weeks away! 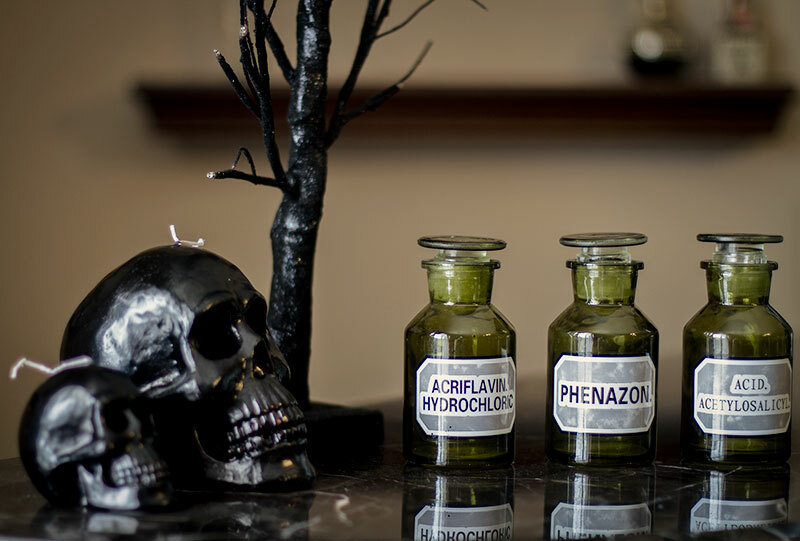 Have you already started planning out your costume? I think it’s always fun to dress up a little regardless of whether you are going out or staying home to pass out candy. Last year I dressed up like Wednesday Adams to pass out candy to the (4) kids that came by. As of yet though, I don’t have any costume ideas planned for this year but I’m loving all the costume and makeup ideas that are popping up all over the internet. What do you think will be the big popular costume idea for this year? 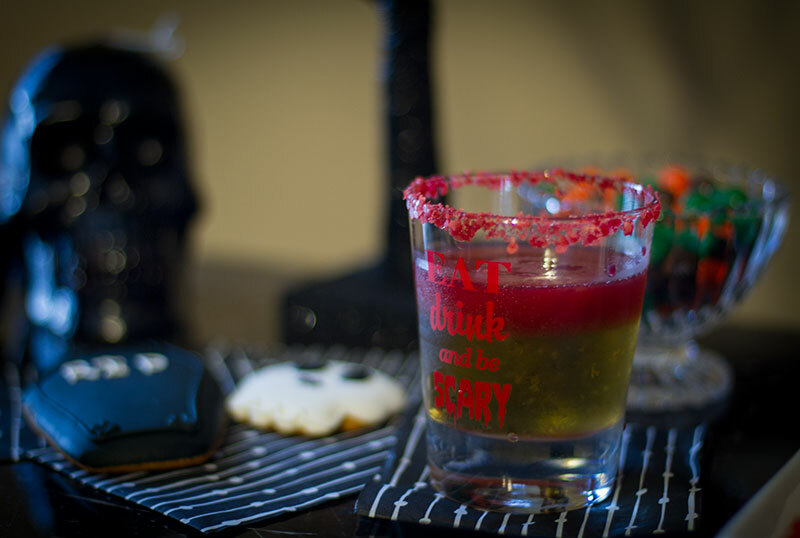 To get into the Halloween spirit, I made one of my favorite drinks, a blood orange margarita, and gave it a bit of a spooky twist. 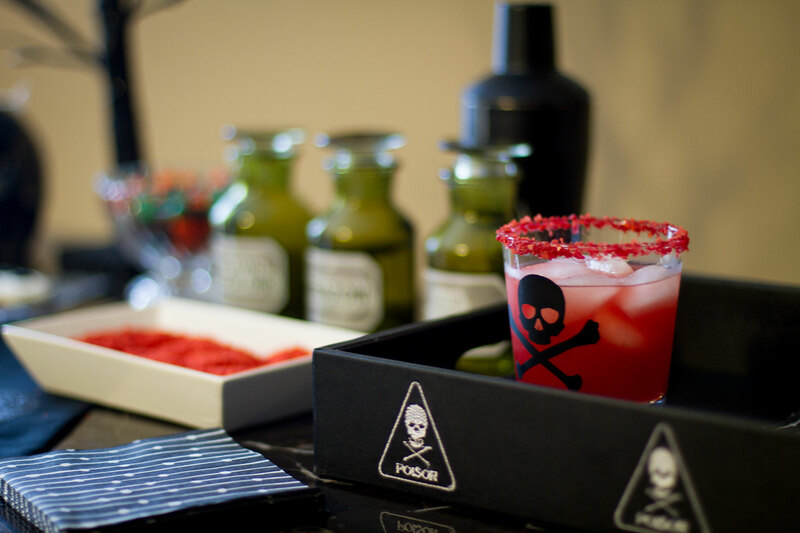 You can actually give any of your favorite cocktails a Halloween vibe by adding a few little details. For example, the apple martini can get a scary make over by drizzling a little bit of grenadine into it to give it a bloody look. 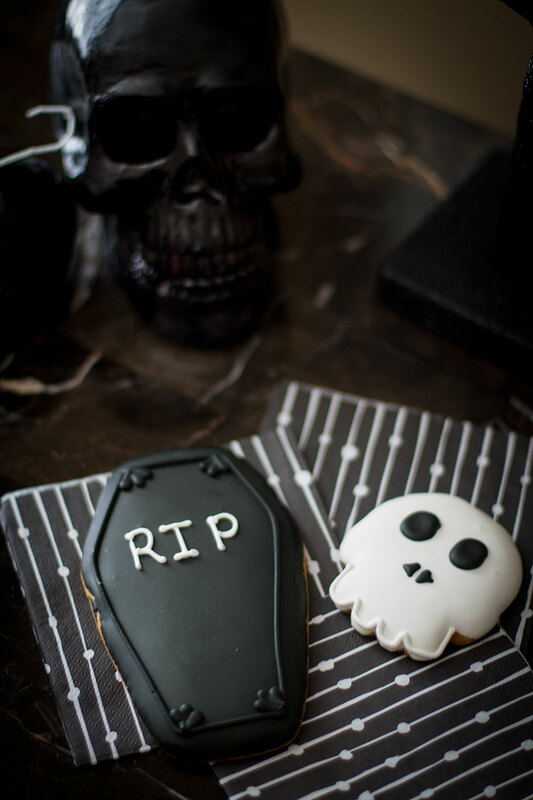 You can also rim the glass with some black sugar for an instant Halloween feel. I also like when the cocktails have a little something floating around in them like gummy worms, or olives that look like eyes. 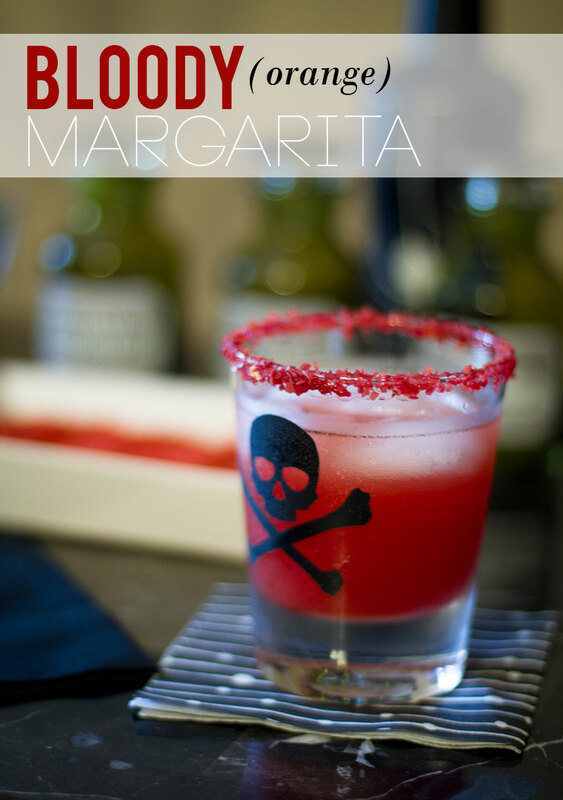 Here’s how to make this super easy Halloween Cocktail that can be enjoyed whether it’s Halloween or not! 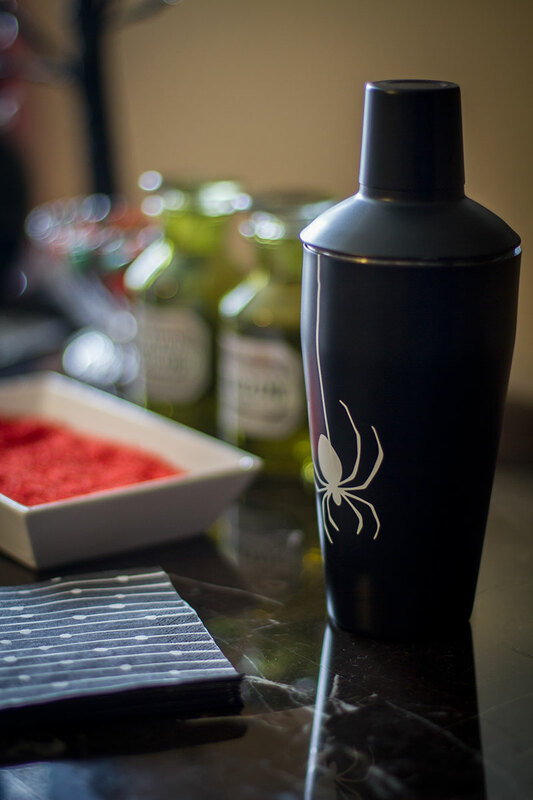 Pour all ingredients into a shaker with ice, shake, and pour into a glass rimmed with salt.